In computing, data is information that has been translated into a form that is efficient for movement or processing. Relative to today’s computers and transmission media, data is information converted into binary digital form. It is acceptable for data to be used as a singular subject or a plural subject. Raw data is a term used to describe data in its most basic digital format. The concept of data in the context of computing has its roots in the work of Claude Shannon, an American mathematician known as the father of information theory. He ushered in binary digital concepts based on applying two-value Booleanlogic to electronic circuits. Binary digit formats underlie the CPUs, semiconductor memories and disk drives, as well as many of the peripheral devices common in computing today. Early computer input for both control and data took the form of punch cards, followed by magnetic tapeand the hard disk. Early on, data’s importance in business computing became apparent by the popularity of the terms “data processing” and “electronic data processing,” which, for a time, came to encompass the full gamut of what is now known as information technology. Over the history of corporate computing, specialization occurred, and a distinct data profession emerged along with growth of corporate data processing. The units of data measurement continue to grow as the amount of data collected and stored grows. 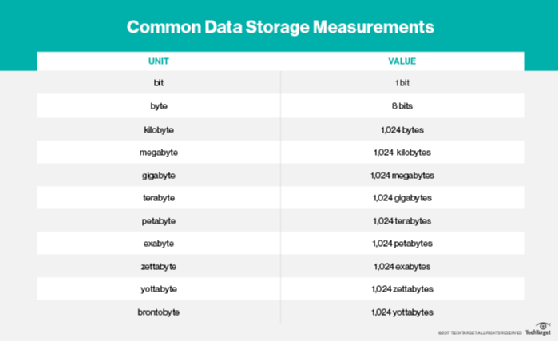 The relatively new term “brontobyte,” for example, is data storage that is equal to 10 to the 27th power of bytes. The term big data has been used to describe data in the petabyte range or larger. A shorthand take depicts big data with 3Vs — volume, variety and velocity. As web-based e-commerce has spread, big data-driven business models have evolved which treat data as an asset in itself. Such trends have also spawned greater preoccupation with the social uses of data and data privacy. Data has meaning beyond its use in computing applications oriented toward data processing. For example, in electronic component interconnection and network communication, the term data is often distinguished from “control information,” “control bits,” and similar terms to identify the main content of a transmission unit. Moreover, in science, the term data is used to describe a gathered body of facts. That is also the case in fields such as finance, marketing, demographics and health. With the proliferation of data in organizations, added emphasis has been placed on ensuring data quality by reducing duplication and guaranteeing the most accurate, current records are used. The many steps involved with modern data management include data cleansing, as well as extract, transform and load (ETL) processes for integrating data. Data for processing has come to be complemented by metadata, sometimes referred to as “data about data,” that helps administrators and users understand database and other data. The data profession took firm root as the relational database management system (RDBMS) gained wide use in corporations, beginning in the 1980s. The relational database’s rise was enabled in part by the Structured Query Language (SQL). Later, non-SQL databases, known as NoSQL databases, arose as an alternative to established RDBMSes. A distinct title — the data scientist — has appeared to describe professionals focused on data mining and analysis. The benefit of presenting data science in an evocative manner has even given rise to the data artist; that is, an individual adept at graphing and visualizing data in creative ways.